Fully deserving of its popularity, the 2009 BMW 3 Series sets the standard for overall driving enjoyment, luxury and refinement in an entry-level luxury car. If you're thinking about buying an entry-level luxury car this year, your attention will undoubtedly turn to the 2009 BMW 3 Series. Coupe and convertible versions of the 328 come with slightly more equipment, including 19-inch wheels and xenon headlamps; the coupe also has a sport-tuned suspension while the convertible has a power-retractable hardtop. All 328i models come with a 3.0-liter inline six-cylinder engine rated for 230 hp and 200 lb-ft of torque. There's no going wrong with either of the engines available in the 2009 BMW 3 Series. 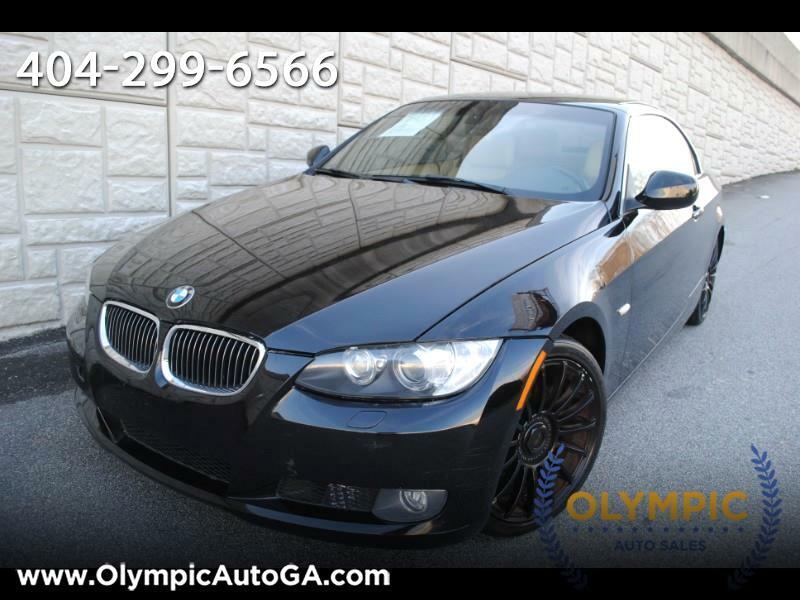 The standard, normally aspirated engine is a little light on low-end torque, but it moves the car around smartly and provides slightly better mileage.Please contact our Sales Staff at Olympic auto sales (404) 299-6566 for more details on our great Buy Here Pay Here Deals as well as discounted Cash Cars! You promise to pay us the principal amount of $14,995.00, plus a time price differential accruing on the unpaid balance at the rate of 9.90 % per year from today's date until maturity. The time price differential accrues on a 365 day basis. After maturity, or after you default and we demand payment, we will earn finance charges on the unpaid balance at 9.90 % per year. You agree to pay this Contract according to the payment schedule and late charge provisions shown in the TRUTH IN LENDING DISCLOSURES. You also agree to pay any additional amounts according to the terms and conditions of this Contract.